Electric vehicle (EV) charging specialist Ionity will open the first of 50 planned 350kWh rapid charge stations in the UK next month - with the remaining sites to be added over the next 18 months. 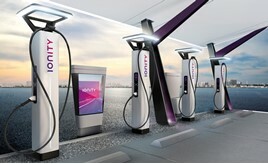 A joint venture between BMW, Daimler, Ford and Volkswagen Group, Ionity currently has 71 EV charging sites in 10 countries and has ambitious plans to get to 400 sites by the end of 2020. 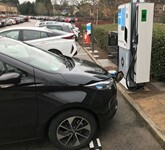 Speaking ahead of the opening of the business's first UK site, on the M20 near Maidstone, next month, Ionity spokesman Paul Enwistle said each charger would deliver a potential charge of 350kWh - enough to fill an EV in just 15 minutes if it can accept the capacity, or 25-30 minutes if it can only accommodate a lower capacity.